Note that this paragraph intentionally leads the respondents toward a favorable view of the program. It extols the GND promises of a “green energy” conversion on a scientifically impossible 10-year timeline as if it is a given. It promises an abundance of jobs and economic growth without revealing that these features depend upon the simultaneous adoption of an unprecedented federal jobs-guarantee program that would effectively place large swaths of the economy under direct federal government management. It offers no indication that the same jobs-guarantee program would likely culminate in an unwieldy bureaucratic disaster of centralized economic planning. 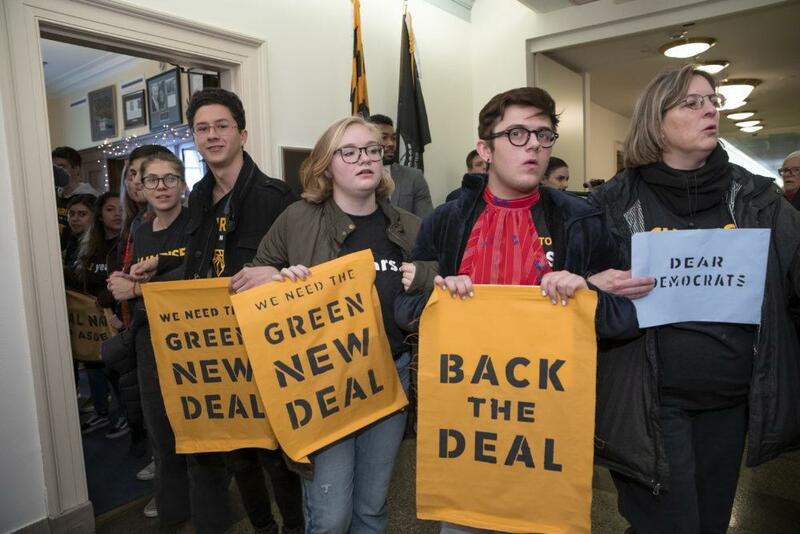 It makes no mention of the proposal’s extremist calls to phase out air travel in favor of trains, or to subject every building in America to costly renovation and reconstruction in order to meet new energy-efficiency rules. And it says not a word about the extreme price tag of the entire package, which certainly breaks into the tens of trillions of dollars and may reach as high as $93 trillion when all is said and done. Instead, all of the pitfalls of the GND are conveniently brushed aside while all of its promised benefits, no matter how unrealistic or expensive, are presented to the survey’s respondents as if they were neutral and factual truths. This combination of intentional omissions and leading questions exploited public ignorance to produce a skewed result. As a relatively new proposition, the details of the GND are still unfamiliar to the vast majority of Americans. The pollsters confirmed this finding in a separate question that showed 83 percent of respondents knew “nothing at all” about the program’s details. After supplying them with an overly rosy and biased synopsis of those details, they unsurprisingly found large majorities in favor. Loaded opinion polling of this type is a commonly encountered dirty trick in partisan political campaigns, where marketing firms associated with a certain candidate or policy try to build the illusion of public support (or hostility to the opposing party’s candidate) by asking intentionally loaded survey questions and then reporting the results as if they contained an accurate measure of public opinion. Long controversial, these tactics violate standard practices in survey design and question construction. Unfortunately, the pollsters in this case are not political campaign consultants - they’re university professors at research institutes specializing in “climate change communication.” Given the way that they skewed their poll results toward the GND with biased and loaded questioning, it’s reasonable to ask whether their research output crossed the ethical line separating scholarship from politically motivated advocacy.